Count the point and count the sides. Triangles, triangles just for you and me. 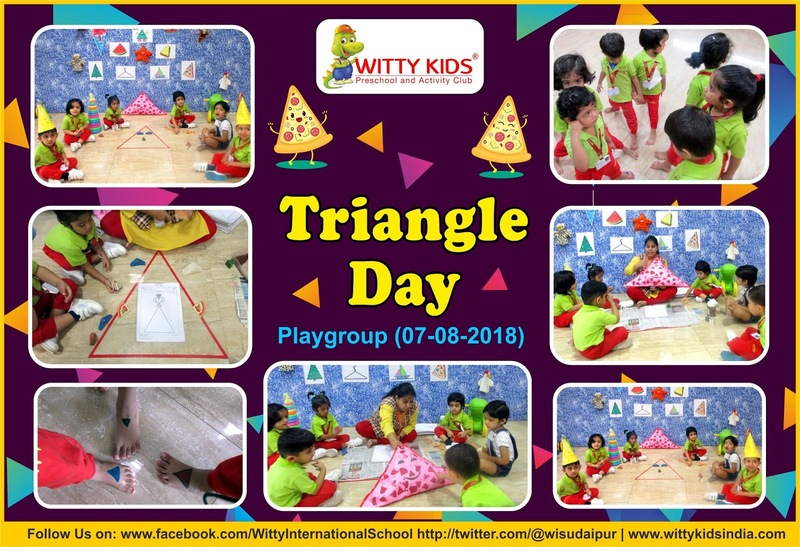 On Tuesday 7th August 2018, Little Wittians of Playgroup at Witty International School, Udaipur were introduced to Triangle shape and its usage in our daily life. The class was decorated with triangles objects & flash cards. 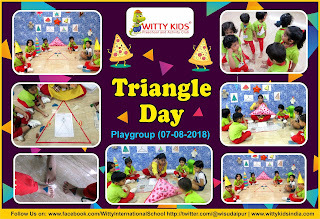 Children enjoyed reciting rhymes by holding the triangle shape object in their hands. They also did crumpled paper dabbing on Tommy triangle worksheet. Children tried to identify the objects & flash cards related to triangle shape. They also enjoyed walking on triangle shape outline. It was fun frolic day for little toddlers.